With B.MAG the innovation is literally in oversupply at Savage. 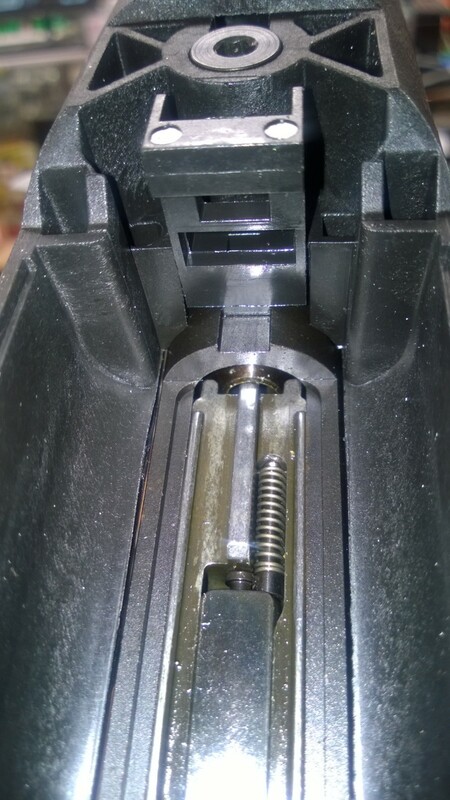 In addition to the caliber they decided, for reasons unclear to me, but possibly related to some middle manager's aesthetic taste, to hide the action bolts behind a plastic shield. After fumbling around and eventually watching a YouTube video, I present to you a low bandwidth guide to B.MAG's disassembly. Step 1. 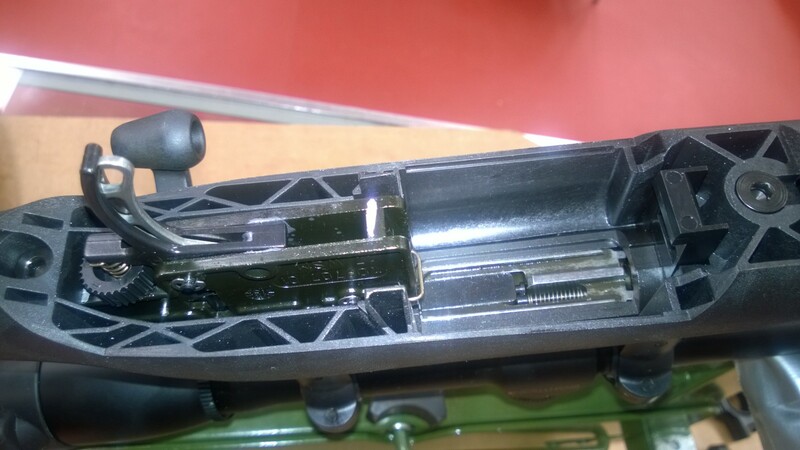 Turn the rifle upside down, and remove the magazine. 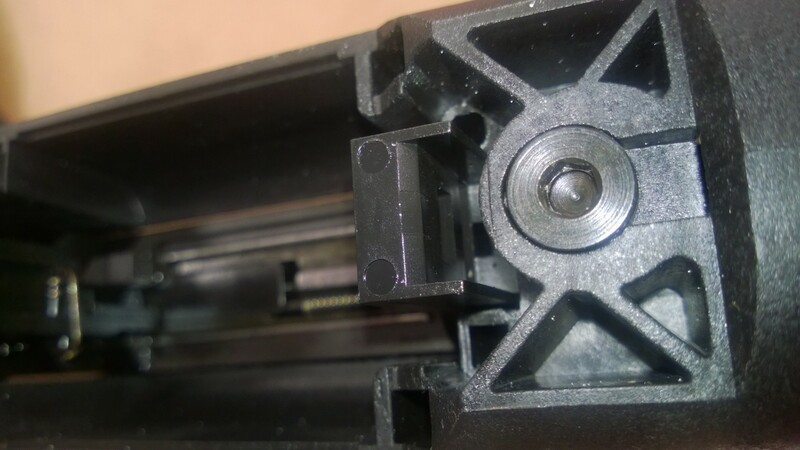 (this is towards the front of the rifle - this picture has the cover removed and you are seeing the front action screw). Here is how it looks with the cover removed. 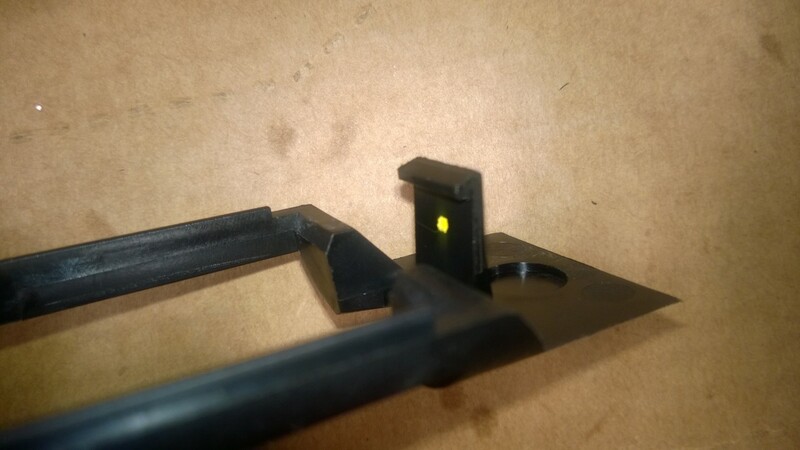 You are looking from the bottom in the direction of the muzzle, and the top rectangular slot is where the catch engages from behind it. 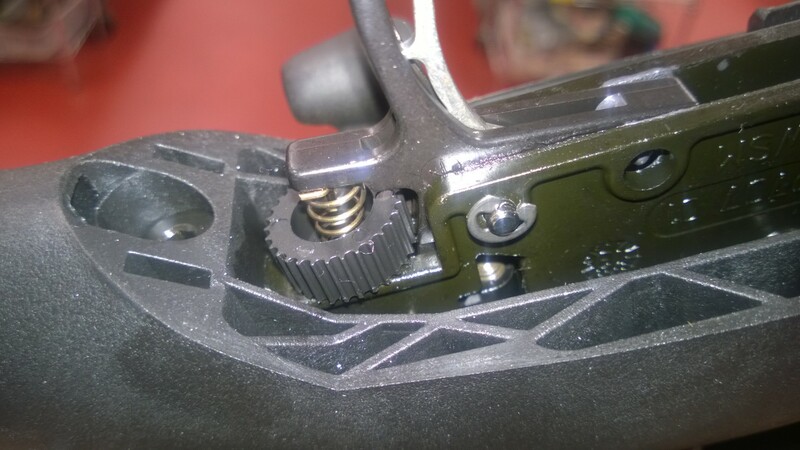 Bonus shot: the B.MAG trigger mechanism.